Long Island driving icon and automotive historian Marty Himes provided this aerial of a Long Island race track. -What is the earliest possible year of the aerial? Why? After 1961. The figure eight in the aerial was constructed in 1962. 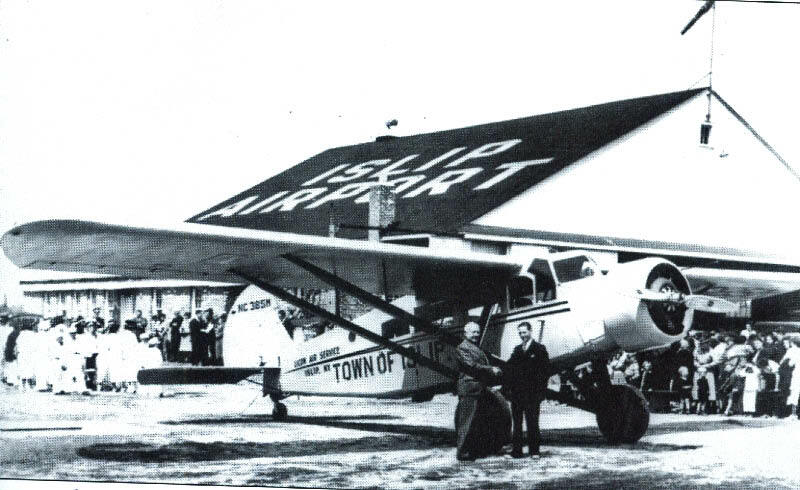 Congrats to Greg Oreiro, Art K., Steve Lucas and Arthur Emerson for correctly identifying the track and the earliest possible year of the aerial as 1962. 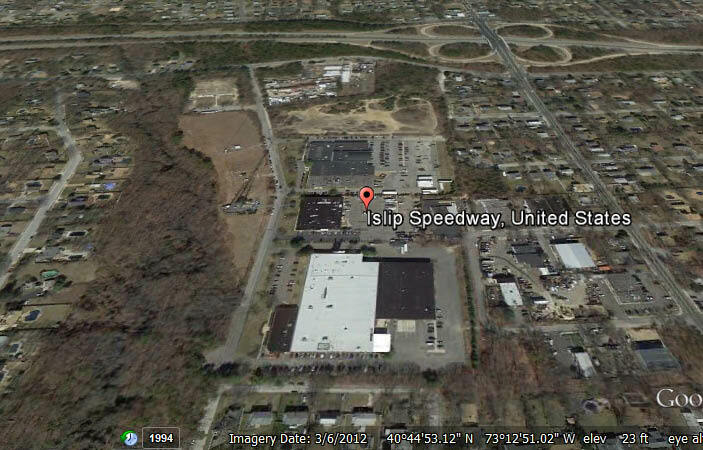 Kudos to Ted, Pat Masterson, Jerry Giarratana and Paul Emmert for identifying Islip Speedway. If you wish to submit a Mystery Foto, submit a jpeg to Howard@Kroplick.com . 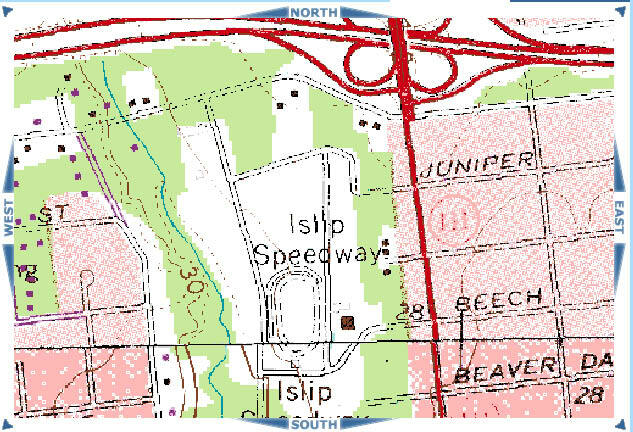 Before becoming the Islip Speedway, this 25-acre field was Long Island's first municipal airport. The field was founded by Charles Lawrence who designed Charles Lindbergh's "Whirlwind" engine for the Spirit of St. Louis and built a candidate for the 1906 Vanderbilt Cup Race.. 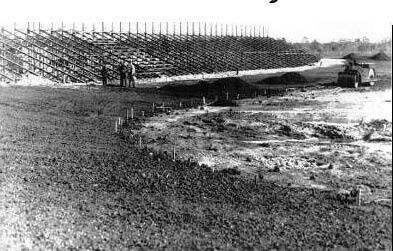 The Islip Speedway being built for its 1947 opening. The figure eight of the speedway. Marty Himes rides to victory at Islip in the 1970s. On Thursday, you can hear Marty in person tell the history of this sign. See below. Please join the Long Island Motor Parkway Preservation Society this Thursday at 7:30 PM at the Old Bethpage Village Restoration for a special presentation: An Evening with Marty Himes . Admission is free. Looking forward to the meeting next Thurs. and listening to him speak! 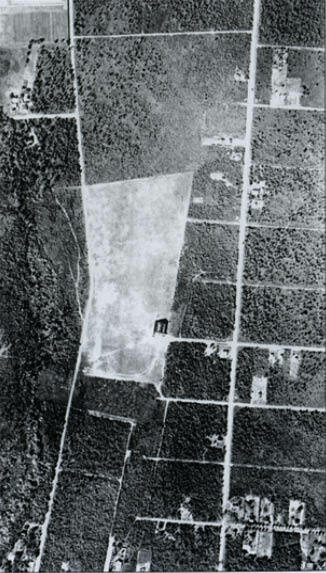 Earliest year possible is 1962 when a Figure 8 track was added and which is shown in the photo. 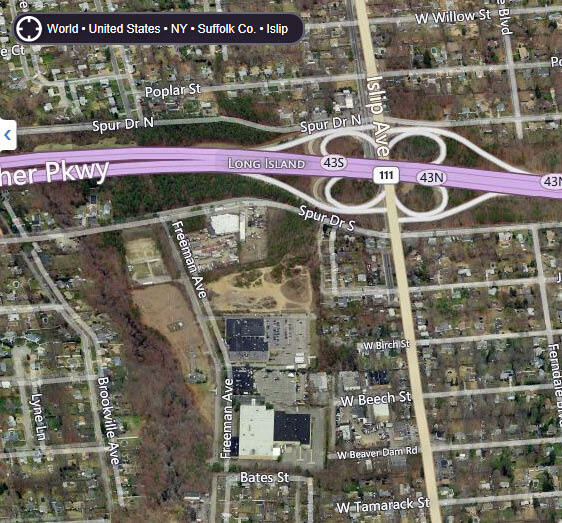 That looks like the old Islip Speedway. The photo can’t be any earlier than 1962 since that’s the year they added the figure-8 races. It looks like the Islip Speedway. This track was opened in 1947, and closed in 1984. 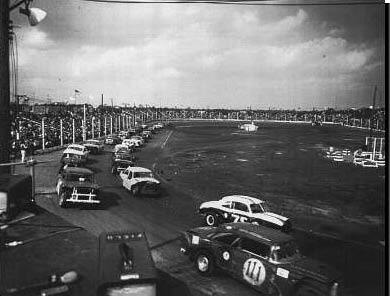 It became famous in the 1960s when ABC Wide World of Sports televised the figure 8 races and demolition derbys there. 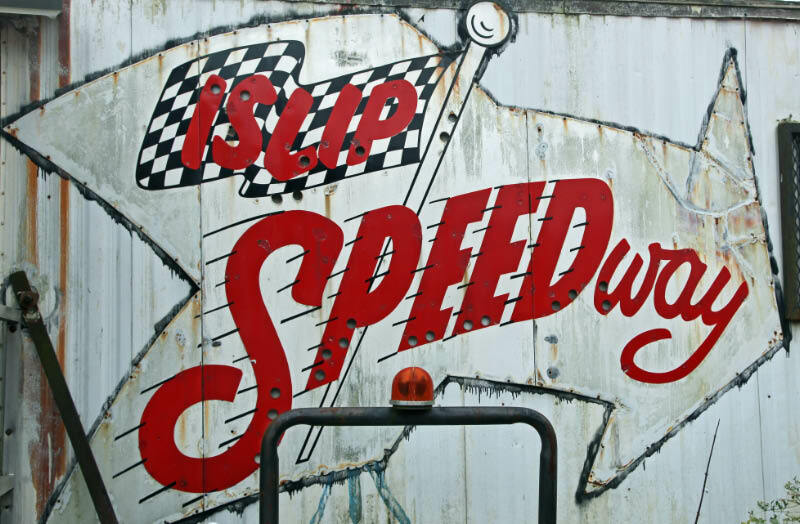 1) It is Islip Speedway. 2) The picture was taken in 1962 or later, because that was when the figure-8 was added to the track. 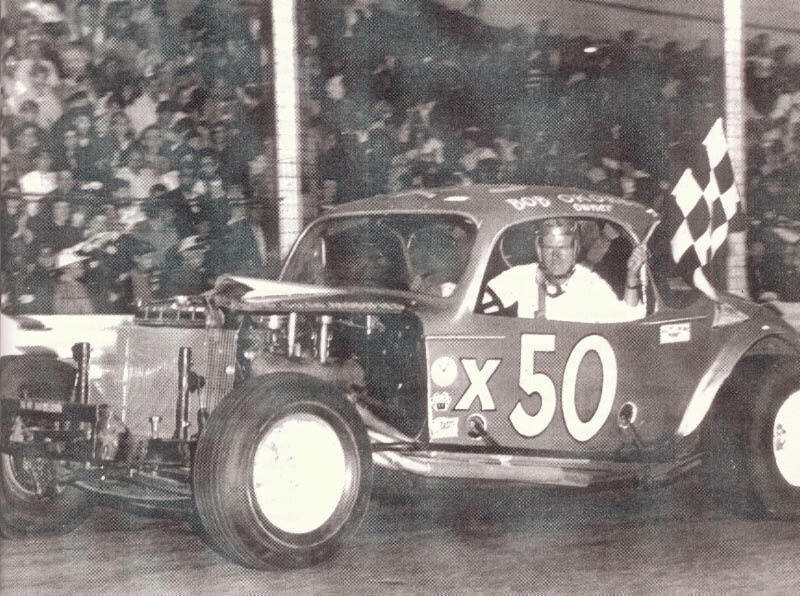 Is Foto Nr 37 Islip Speedway, that is My guess. Is that the 1/8th mile drag strip on the right side of the track? I remember being there to see Richard Petty with 43Jr, a Hemi Cuda drag car. I think that was the first figure eight race in the country. I am sure Marty Himes remembers, the first time at Freeport that they ran the girls against the guys. Hopefully a Macho event. The ladies blew the guys away! Freeport was Long Island History. It was a different kind of first date for a lot of us! Stay Well, Thanks! Paul Emmert. I didn’t understand the figure 8 until I read about the demolition derbies - then it made perfect sense! Wade, do you remember the name of the wrecking yard he worked at? 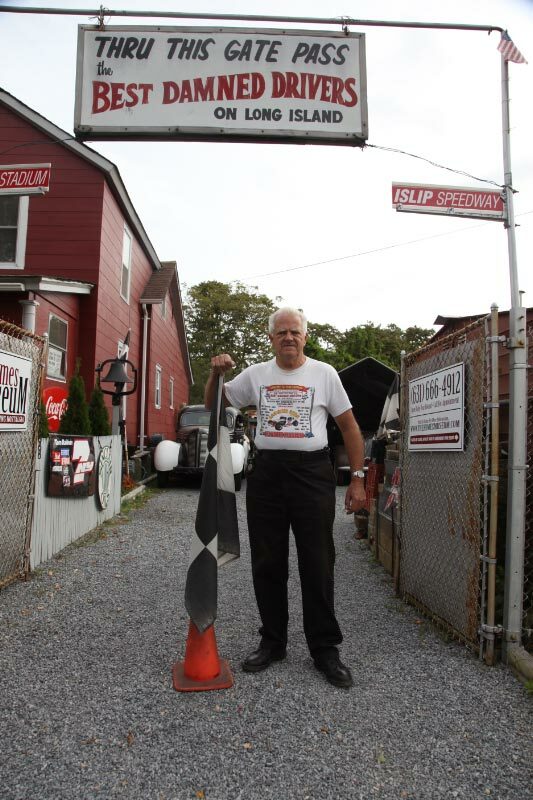 My dad (John Lawrence) owned the one on grant ave and he also did the towing for islip speedway.